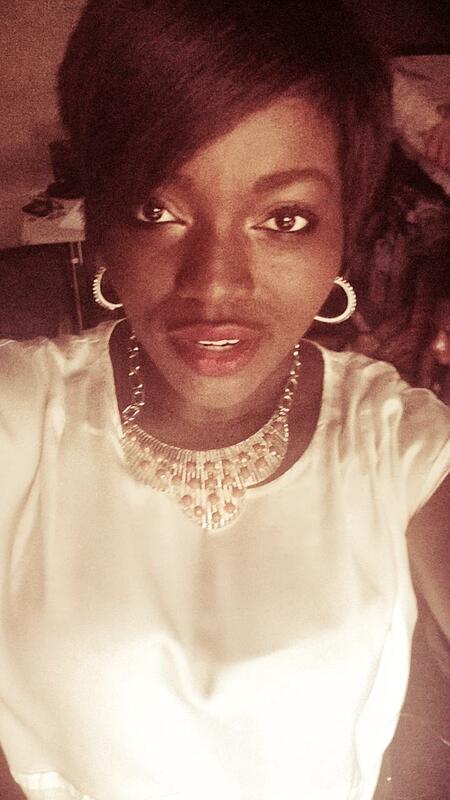 I hadn’t done short hair in about 2 years and, to be honest, I’m scared of short hair styles (It’s a long story). Anyways, I had seen my friend, Sharon, and her short hair looked really good so I decided to give the hair a try ..and of course, at the same salon Sharon got hers done: Golden Touch. 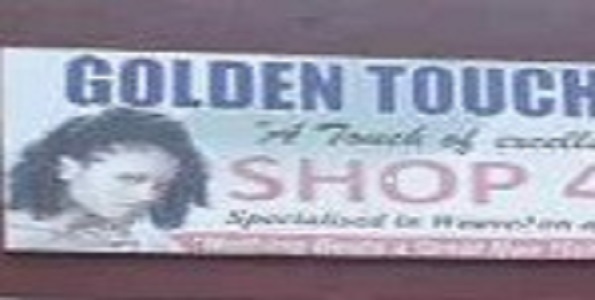 Apparently Golden Touch gets a lot of traffic (and provides ample parking space too). They have two shops, both of which I checked out and were filled with customers. I was lucky to get one available stylist to do my hair. She was really friendly, and even recommended short hairstyles to suit the shape of my head. Now, the problem: I don’t know if she was slow or my hair is too full, but it was a very very slow process. It took about 4 hours to get my hair done! I actually got really tired while doing my hair. They say beauty is pain, but this one was on another level. Once the stylist was done fixing my weave, another came over to cut the hair. 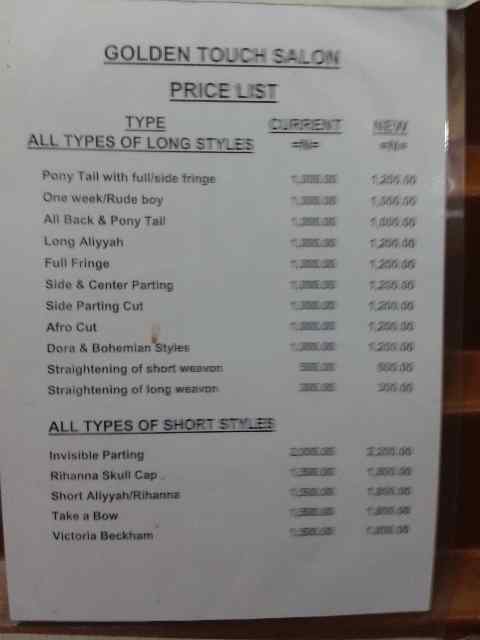 Short hair cost 1,800 naira. 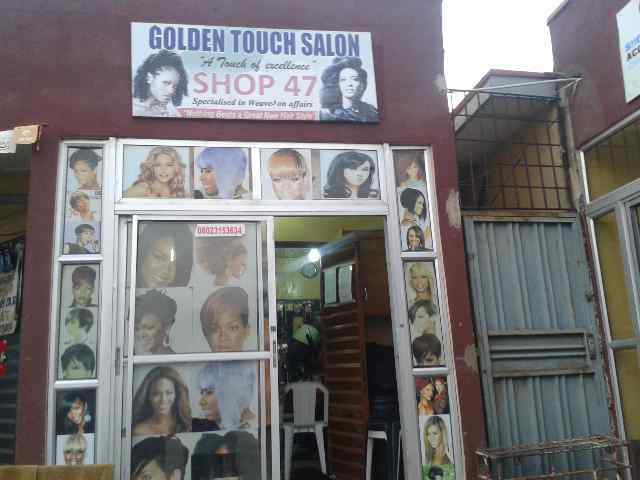 Overall, Golden Touch prices are reasonable. I will rate their service a 7 over 10. I think they need more hands to help with the amount of traffic they get. I might get my hair done here again, that is after i have tried other places, but i did get wonderful comments on the hair though. Ahh. Sandra . Fine Girl!!! I like the hair .